It's difficult to see who comes to your front door when the camera isn't angled correctly or the surface you are mounting on is uneven. 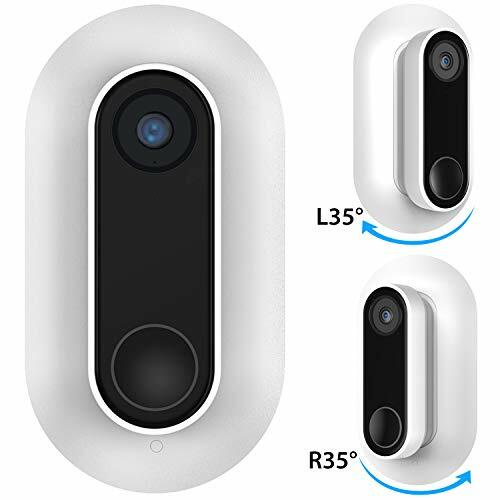 That is why we are working hard on developing a Nest Hello Angle Bracket/Mount, so you can mount your Nest Hello to a side wall at a 35-degree angle. Our Wall Plate for the Nest Hello Doorbell is designed as a problem-solving aesthetic compliment to the already visually pleasing Nest Hello Doorbell. If you have upgraded from a dumbbell or intercom system you may find the need to clean up a little unsightliness from the previous doorbell/intercom install.